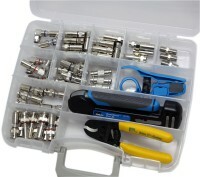 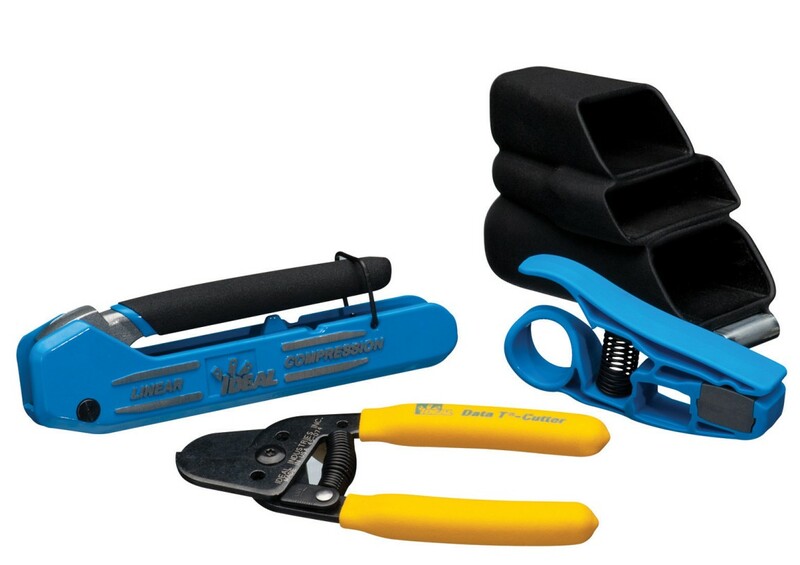 Service kit includes both F and BNC connectors as well as professional tools to cut, strip and terminate coax cables. 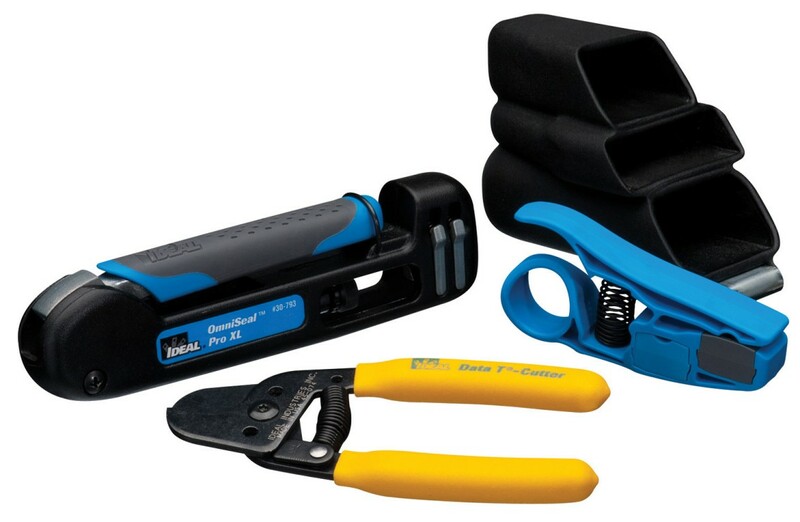 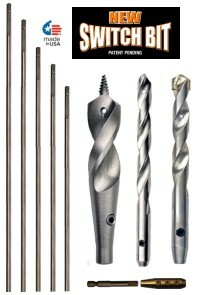 Designed for security and cable/satellite installation. 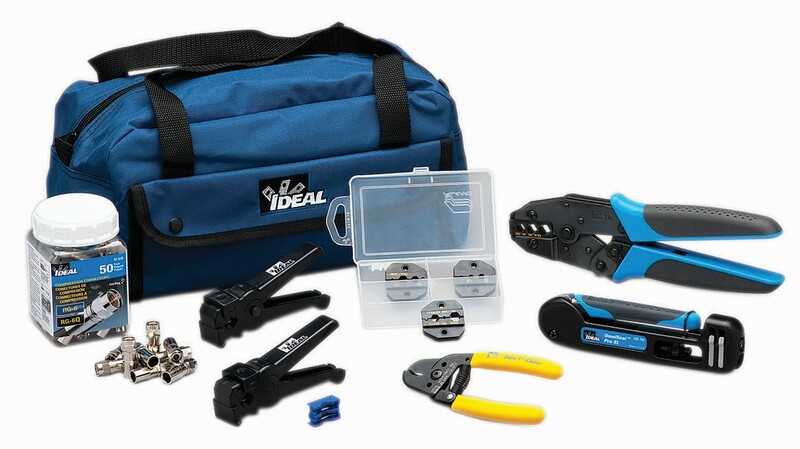 IDEAL Compression Connectors are all single piece designs that are manufactured to meet the demands and expectations of the satellite and cable TV industry. 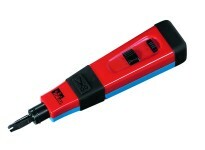 All series of connectors are effortlessly positioned onto properly stripped coax and are permanently connected when terminated with an IDEAL OmniSeal Compression Tool. 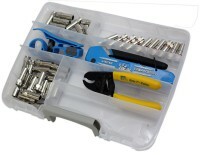 All IDEAL compression F-connectors use a standard 1/4", 1/4" strip.